Shopping local provides far more benefits than a unique, personal experience. It supports the creation of local jobs, which in turn improves the local economy. It also helps promote a sense of community, as well as preserve the community itself. When customers shop local, they not only support the business, but also the people around it. 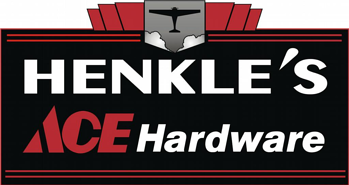 Today, we are highlighting one of the area's top local businesses: Henkle’s ACE Hardware. Even though ACE is a national brand, each branch is owned locally and provides all of the benefits of being a company that's right in town. Henkle's ACE Hardware is located in Webb City, MO, which has a population of almost 11,000 people within its borders. It is also easy to reach from nearby towns. This ACE Hardware is owned by John and Cris Henkle. What Products and Services are Provided by this Business? Along with hardware, Henkle's provides home decor, outdoor accessories like grills, paint, key making, lock rekeying, screen installation, and similar products and services. It is a full-service ACE Hardware. This branch also offers a unique supply management service for businesses. With this service, Henkle's takes responsibility for making sure that a company has enough basic stock, such as light bulbs, air filters, washroom supplies, and thousands of other possible items. Such items can also be obtained at the store by those who don't need them in wholesale quantities. What Makes Henkle's ACE Hardware Special? They take pride in being a local small business that provides a full array of hardware and home improvement products and services. Unlike big box stores, they don't clear out important items to make way for big seasonal displays. Therefore, you can expect the product you need to be in stock. Their employees also undergo extensive training, so those who need advice can receive the help and expertise they need for their home improvement projects. Henkle's also runs a radio show, Henkle's Home Inside and Out, which is held on Zimmer’s NewsTalk KZRG (1310 AM). This show is aired on Saturdays from 7 to 9 AM. On it, John and Cris Henkle discuss all things home improvement, gardening, and more. It is a call-in show, so people can ask questions and get needed answers and help. Shopping from local small businesses is a great way to support your community both economically and socially. Local store owners get to truly know their regular customers and the needs of the community in general. This leads to a much more personalized experience, a greater likelihood of finding exactly what you need, and a friendlier atmosphere than can be obtained at larger stores. Henkle's ACE Hardware is a great example of a local business that works to enhance the lives of its customers and its community. Tune into the radio show on NewsTalk KZRG on Saturdays from 7-9 AM to hear the owners live, stop into the store to check out its selection and knowledgeable staff, or visit Henkle's web page at http://www.henklesonline.com/home-page.html to learn more about this local fixture.